 The Arc San Francisco is a California nonprofit public benefit corporation, founded in 1951, which has been granted tax exempt status under Internal Revenue Code section 501(c)(3). Our Federal EIN is 94-1415287 and our California corporation number is C0258132. We value the long-standing support of our community - a community counting on us to serve people with developmental disabilities in San Francisco, Marin, and San Mateo counties. As a nonprofit on which thousands of people rely every year, we are committed to transparency. Below are a number of documents, in PDF format, prepared at the close of each fiscal year that outline our financial health, including our annual report, Federal Form 990 tax filing, and a financial audit prepared by an independent CPA firm. For more information, contact Marti Sullivan, Chief Development Officer, at msullivan@thearcsf.org, (415) 255-7200 x119.